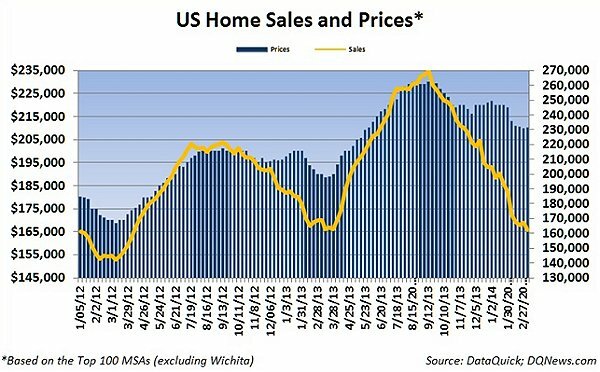 The median price of a home sold over the current thirty-day rolling period increased by $ 100 to $ 210,000 after falling by $ 600 the previous week. Four weeks ago the median home price was $ 213,000. Home prices were 13.5 percent higher than during the same period a year ago when the median price of a home was $ 185,000 and were 22.2 percent higher than the median price of $ 171,900 during the same period three years ago.